Disclaimer: I received this book for free in exchange for an honest review on my blog. All thoughts and opinions are 100% mine. 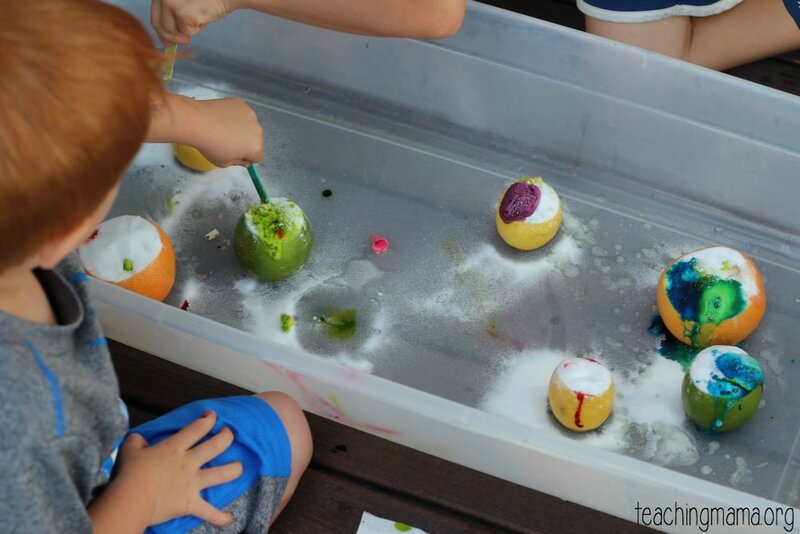 I’m so excited to share this citrus volcano activity with you! 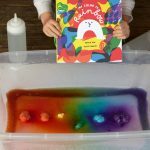 This activity comes from my friend’s brand new book called STEAM Play and Learn. I received an early copy of the book and I am blown away with how COOL this book is! 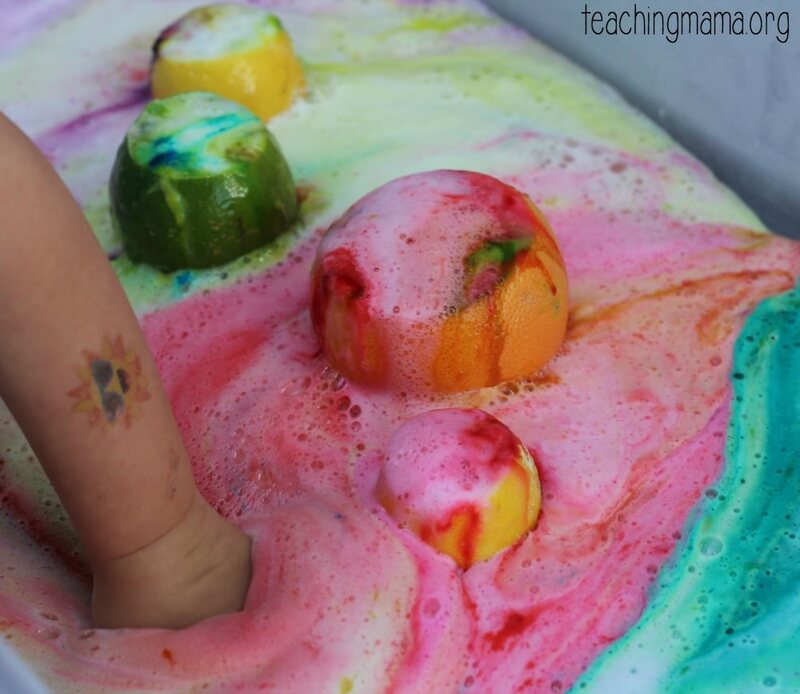 It’s colorful, easy to read, has amazing STEAM ideas, and is affordable! 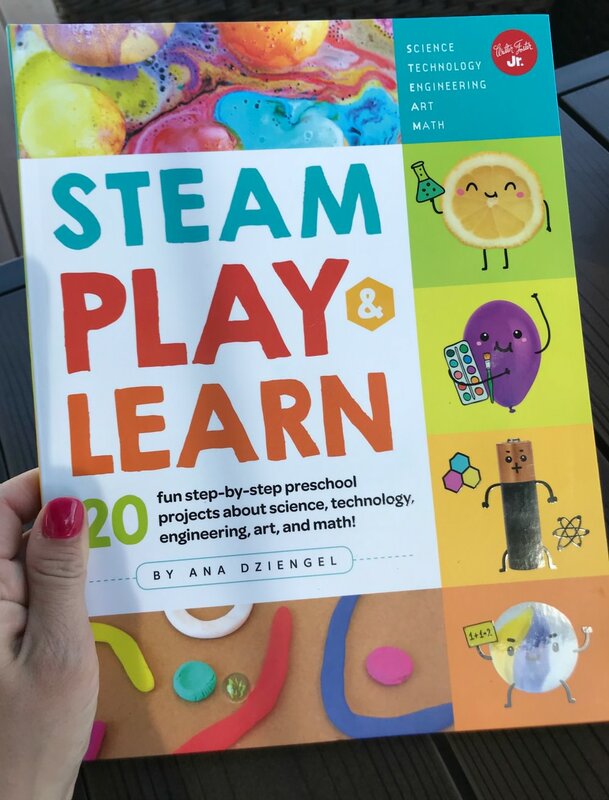 If you’re looking for some genius STEAM ideas, this book is for you! 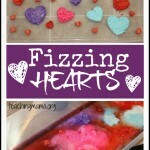 If you teach preschoolers or need some fun ideas for home, I highly recommend this book! You can get the book here. 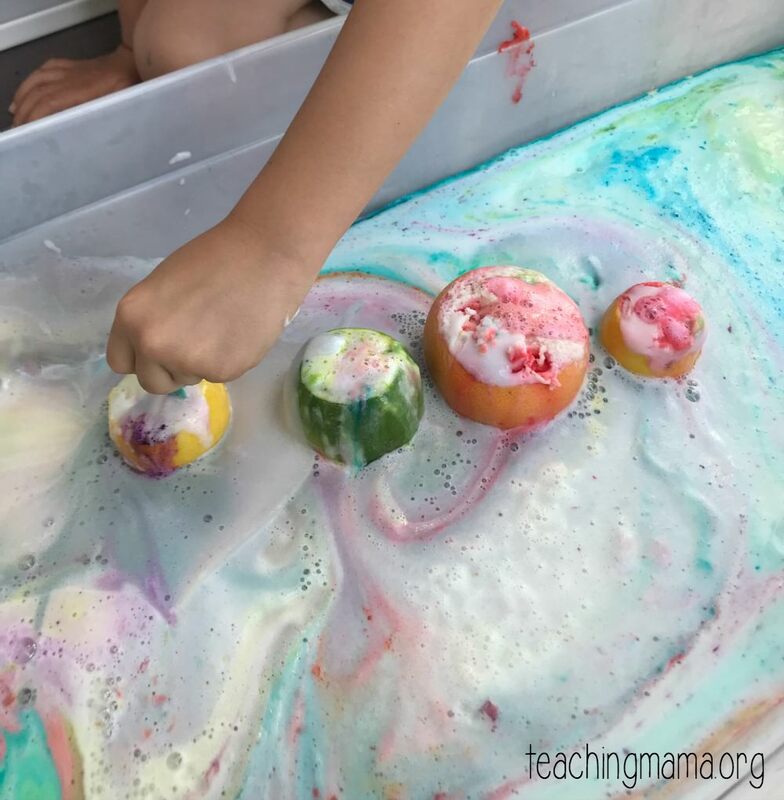 My friend Ana, who is also the creator of Babble Dabble Do, is allowing me to share one awesome activity from her new book. 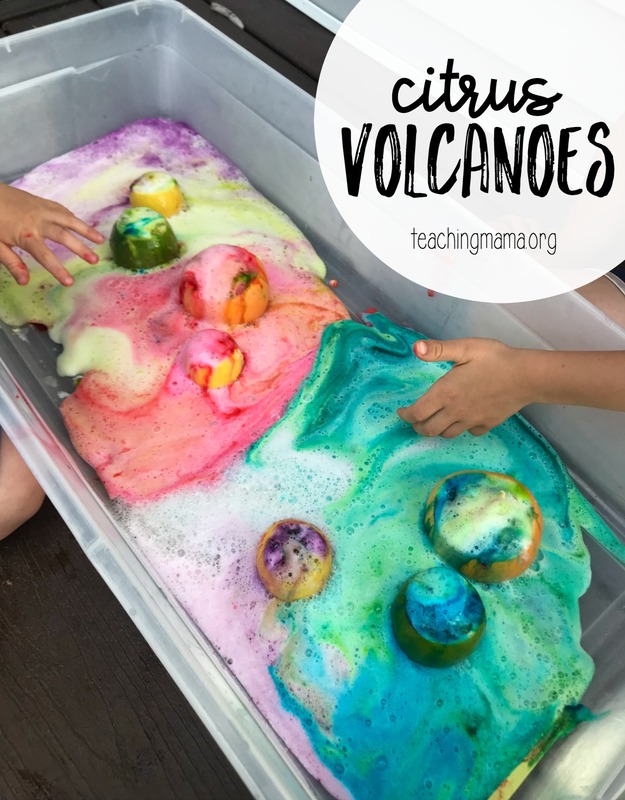 I chose the citrus volcano because it was a big hit with my kiddos! 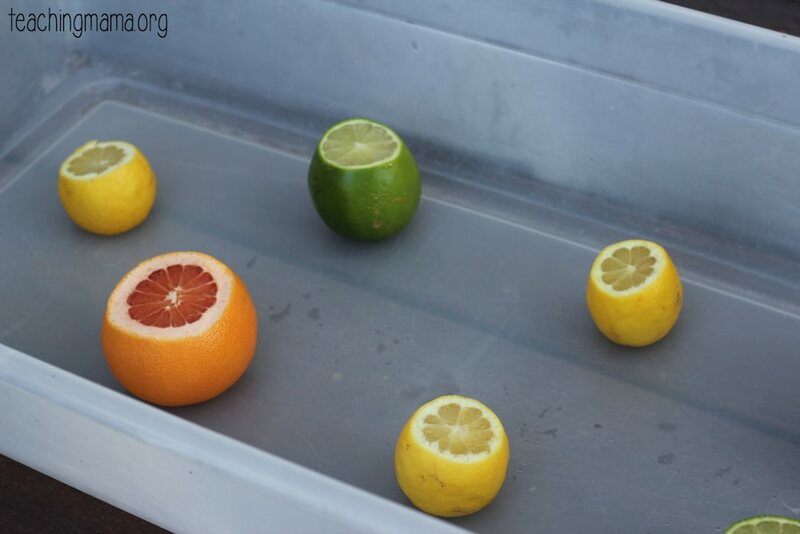 Begin by cutting the tops off of the citrus fruit. You can also slice a small part of the bottom of the fruit so it can stand up. 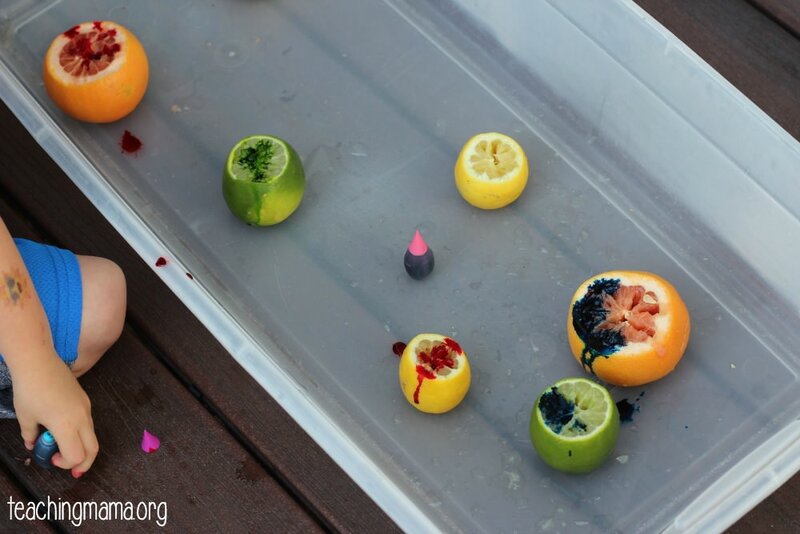 Take a craft stick and mash up the inside of the fruit. This helps get the juices out. Pour some dish soap on the fruit. 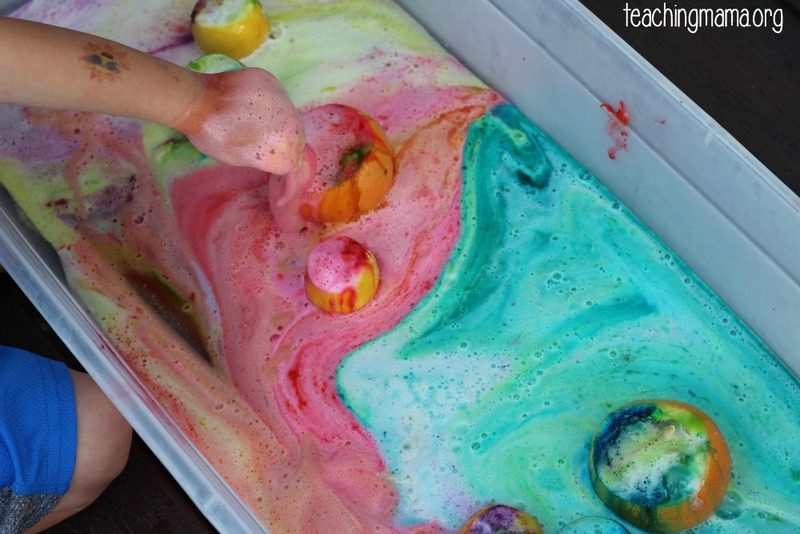 Then add in some food coloring. 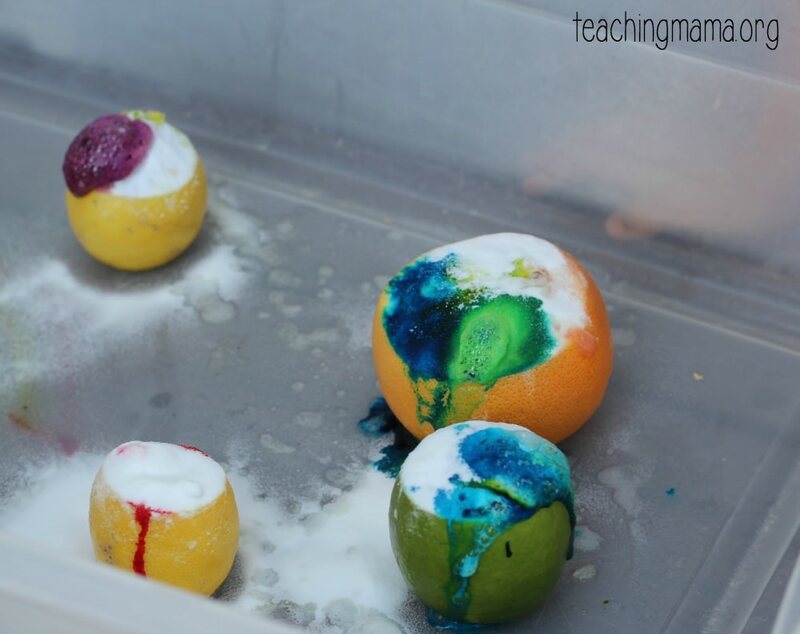 Then pour baking soda on top and watch the volcano begin to erupt! 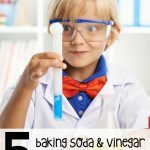 The bubbles should start going, but if they don’t, you can use the stick to stir things up or pour some lemon juice on top. It’s seriously SO fun to watch! 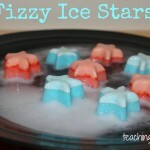 What I love about this experiment is that the soap makes things foamy! 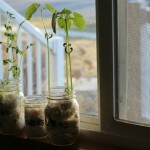 My kids couldn’t resist getting their hands inside. I love how the colors looked in our bin. After a while they started to mix more, but they were still pretty to look at! 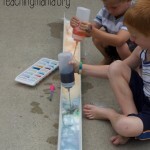 We absolutely LOVED this experiment and can’t wait to try more out! This book is awesome and I know you’ll love it, too! Make sure to order yours HERE today! This looks great. Thank you for the book review and the activity!